Even though the economic boom in Florida construction is less robust than in years past, the building of new roads puts workers and motorists in danger on our roadways every day. Whether it’s on a local city street or on the Interstate, we all encounter roadwork crews doing their jobs in very near proximity to passing vehicles. This can be a deadly mix if proper safety precautions are not followed. Beginning in 1999, the Florida Department of Transportation, (FDOT), began an intensive campaign to educate motorists on the need for added safety when driving through work zones. Their theme has been “It’s Everyone’s Job“, stressing that reckless driving through highway work zones can be deadly for motorists and workers alike. “We want Floridians to realize that everyone has a hand in work zone safety,” said FDOT Assistant Secretary Kevin Thibault, the Governor’s Highway Safety Representative. 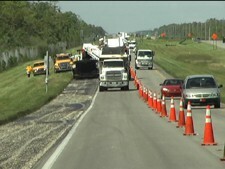 “It truly is everyone’s job to ensure safe travel through highway construction zones.” In 2007, the most recent year for which statistics are available, 11,248 crashes happened n Florida work zones, resulting in 8,288 injuries and 105 fatalities. Nationwide, that number is approximately 1,000 annually. Southwest Florida is currently undergoing several major highway construction projects, resulting in an increased opportunity for accidents. The iROX I-75 Road Expansion project, from Golden Gate interchange #105 in Collier County to Colonial Boulevard interchange #136 in Lee County, is widening 30 miles of the interstate to six-lanes. Additionally, S.R. 739/Metro Parkway from Six Mile Cypress Parkway to Daniels Parkway is currently being widened from two lanes to six, and work also includes resurfacing, drainage, lighting, signal work and installation of signs and pavement markings. Also on Metro Parkway, a new, six-lane extension is being built to connect Metro to Alico Road and U.S. 41 in south Lee County. These projects are expected to affect area motorists until 2012. • STAY ALERT Expect anything to occur when entering a work zone. • PAY CLOSE ATTENTION Signs and work zone flaggers save lives. • TURN ON YOUR HEADLIGHTS Workers and other motorists must see you. • DON’T TAILGATE Unexpected stops frequently occur in work zones. • DON’T SPEED Note the posted speed limits in and around the work zone. • KEEP UP WITH THE TRAFFIC FLOW Dedicate your full attention to the roadway and those traveling around you. • DON’T CHANGE LANES IN THE WORK ZONE The time saved just isn’t worth the chance. • MINIMIZE DISTRACTIONS Avoid changing radio stations and using cellular phones while driving in the work zone. • EXPECT THE UNEXPECTED Keep an eye out for workers and their equipment. • BE PATIENT Remember, the work zone crew members are working to improve your future ride. 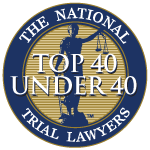 For nearly 40 years, the attorneys and staff at Associates and Bruce L. Scheiner have dedicated themselves to fighting for the rights of those injured or killed in vehicular accidents, and are focused on justice for crash victims. If you have suffered an injury as a result of an accident involving roadway construction, please call us at 1-800-DIAL-BLS, or visit our website at www.focusedonjustice.com. You pay us nothing unless we are successful on your behalf.